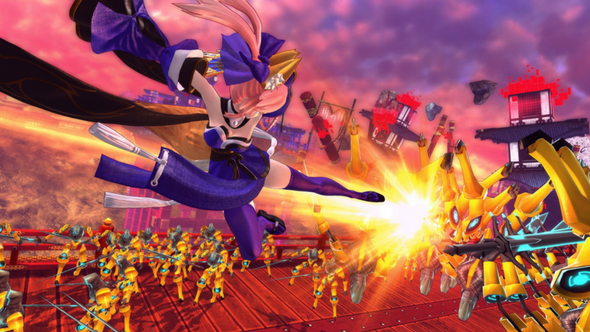 If you’re a fan of anime-inspired hack-and-slash games, you’ve probably already had your eye on Fate/Extella. If the fact that it wasn’t previously announced for PC kept you away you can now rest assured as it’s coming to Steam this month. Need other PC-centric titles to whet your whistle? Here are some of the best of 2017. If you’re no familiar, the game is hyper-colorful and based in the Fate anime universe, and is coming to Steam on July 25 at the price of $49.99. You’ll be able to pick up all of its downloadable content for 20% off. It features 16 different combatants you can choose from to explore the story mode, which is peppered with graphic novel segments. If you’re interested in picking it up, you don’t have long to wait. It’ll be making a stop on a PC near you later this month.